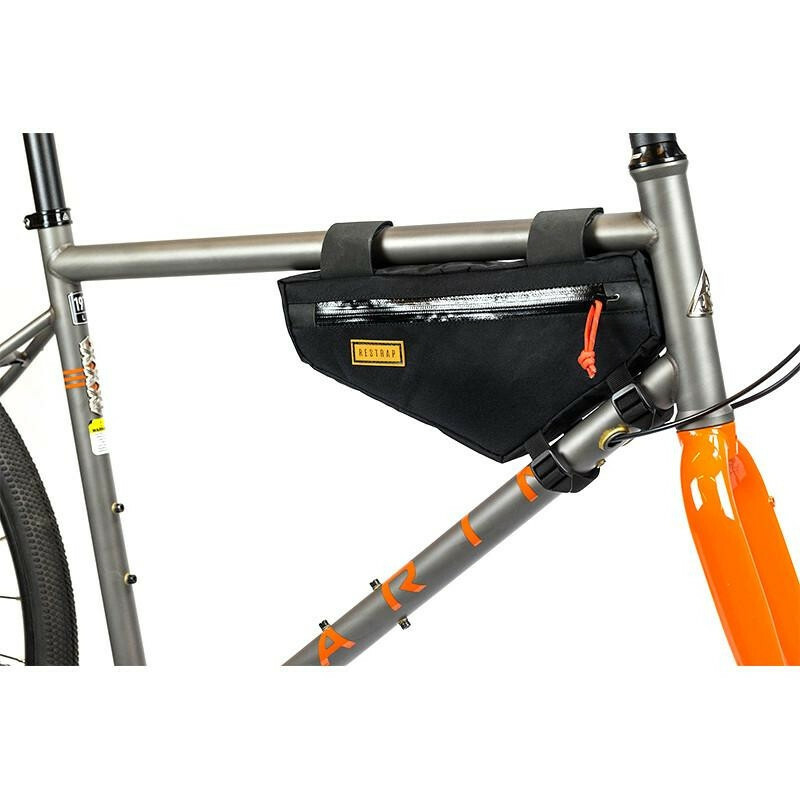 The #carryeverything frame bags allow you to easily increase the load you carry for comfortable bike packing and touring. 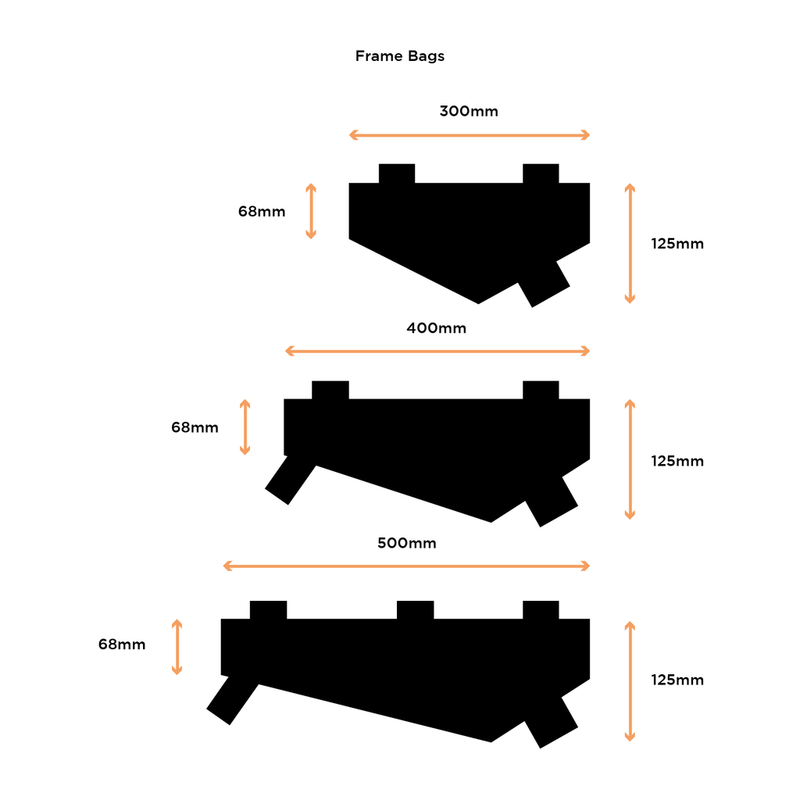 With no mounts or screws, the bags come in three different sizes to suit any frame. With fully waterproof zips, a 1000D cordura outer and VX21 fabrics, all our frame bags will keep your things safe and dry in the worst weathers. Rubberised strapping provides extra grip to the frame and reflective paracord zip pulls give additional security. Inner mesh pockets keep you organised whilst on the road and the medium and large bags contain an additional document pocket. An extra cable slot is provided for dynamo cabling.